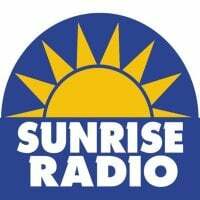 A petition to wind up Sunrise Radio Limited has been issued by the HM Revenue and Customs (HMRC). Unless dismissed, the winding up petition could spell the end for the radio company. The winding up petition was filed in the High Court, Royal Court of Justice in London. The winding up petition hearing will take place on Monday 2 September 2013. It remains to be seen whether and how the Asian broadcaster (which owns Kismat Radio, Punjabi Radio and Buzz Radio) will continue operating these stations. Sunrise Radio Limited also owns London Media Company Limited, which runs Time 107.5 and Time 106.6, and has a share in Palm 105.5. Sunrise Radio Limited recently sold its share in Radio Plymouth. If the winding up petition is successful the company will be put into compulsory liquidation which means the company will lose its broadcasting licence and its assets will be distributed by an insolvency practitioner to creditors (including HMRC).